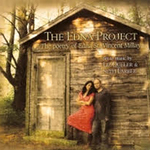 The celebration at the Academy will include a wine reception, readings, book signings, and a concert featuring musical interpretations of Millay’s poems in folk, bluegrass, rock and jazz from The Edna Project. Proceeds from the event will benefit the restoration of The Edna St. Vincent Millay Society at Steepletop, Millay’s estate located in Austerlitz. For tickets and more information go to http://millay.org/eventscalendar.php.